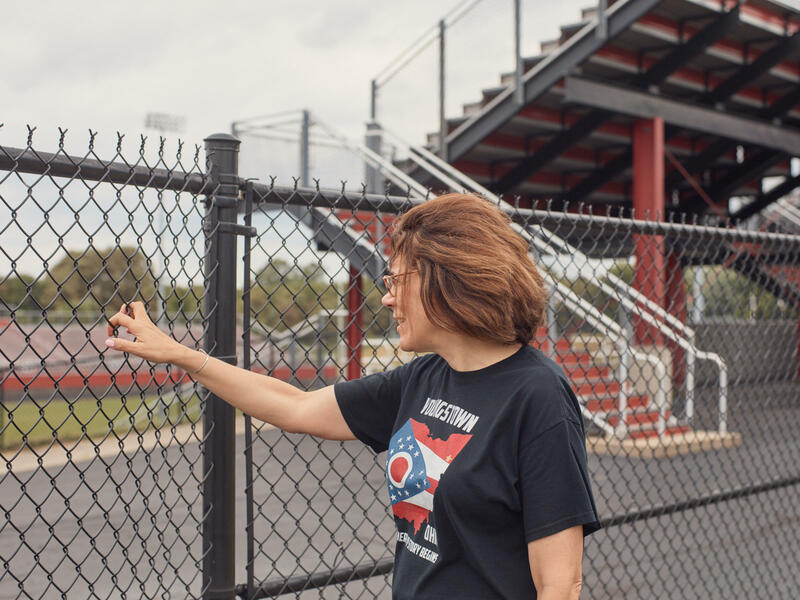 Marilyn Geewax visits her former high school in Campbell, Ohio, a small town just east of Youngstown, in July. She returned for her 45th high school reunion. 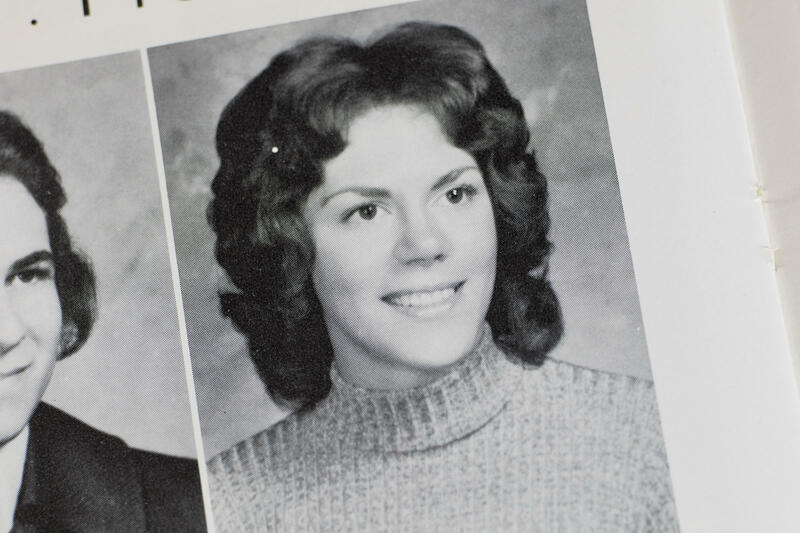 A photograph of Marilyn Geewax in the high school yearbook. She went on to Ohio State and a career as a business journalist. Pete Nicolaou and Marilyn Geewax talk at his home in July. Her visit showed how things changed dramatically for retirees in just one generation. 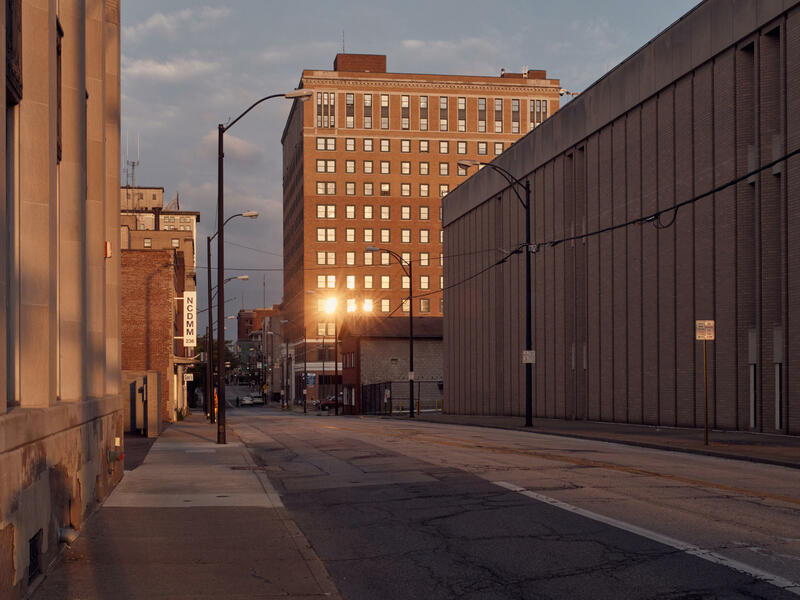 Downtown Youngstown, Ohio, this summer. The region's economy was hit hard in 1977, when Youngstown Sheet & Tube announced it would shut down, wiping out thousands of jobs. 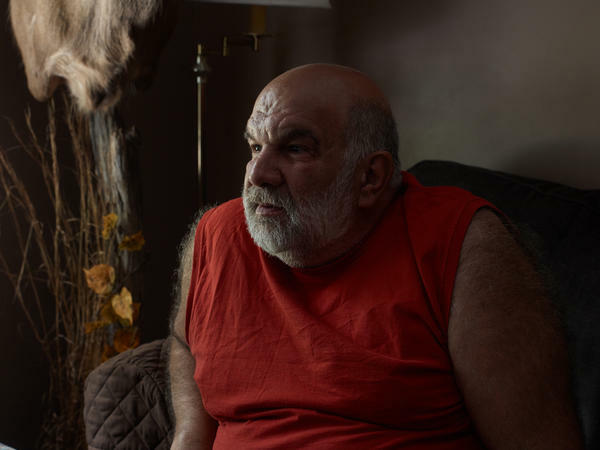 Nicolaou went on to work at a van plant — until that closed down — and then on to an auto plant. But the hard, physical work wrecked his knees and triggered other health problems. He had to retire at 56. 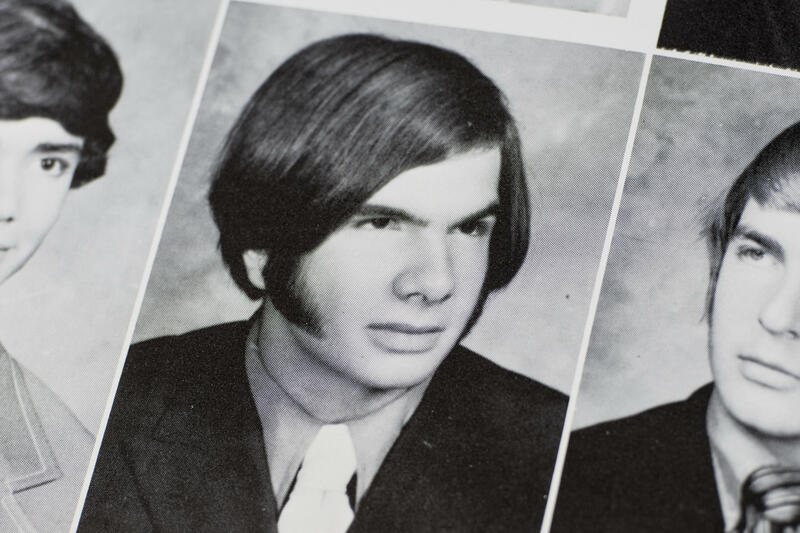 A photograph of Pete Nicolaou from his high school yearbook. Looking back at his work in the steel mill, he says, "you did a good day's work and you felt good about it." 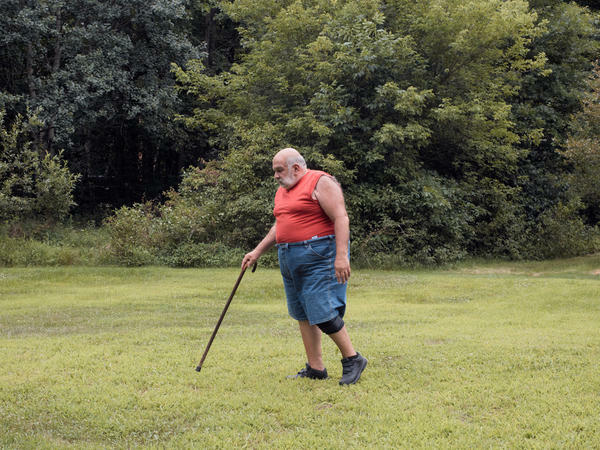 Despite his disabilities, Nicolaou and his wife live a good life on a pretty piece of land in a wooded area. He feels rooted here, and content with his choices. 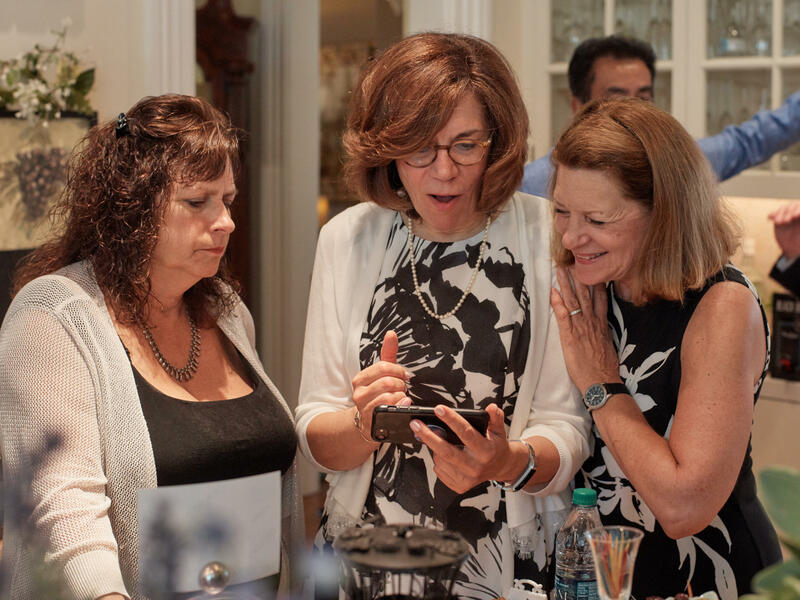 Marilyn Geewax talks with former classmates Marcia Stanton (left) and Mary Ann Brayer during a pre-reunion party at a home in Poland, Ohio, in July. The only high school in my hometown — Campbell, Ohio — was built on a hilltop just east of Youngstown. Behind our football field, the earth sloped away, down to the Mahoning River valley where the Youngstown Sheet & Tube steel mills stretched out for miles. Our school, our small town, the gritty air we breathed — they were inseparable from those blast furnaces. For three generations of Campbell guys, seeking work at the mill was almost automatic. And smart: You were guaranteed great pay and union benefits. "Go to the steel mills. That was my vision, go follow my father," my classmate Pete Nicolaou told me at his kitchen table when I returned to Youngstown recently for the Class of 1973 reunion. My vision was different. Just: "Go." Get away to college and then keep going. But this summer, I went back to Campbell for my 45th high school reunion. I wanted to see old friends — and also to look back on the huge economic shifts that had reshaped our lives. Last spring, I retired from full-time work at NPR. But I haven't stopped thinking about the economy, and I can see that the data show inequality is growing among retirees. What happened to Nicolaou and me can tell you a lot about what has changed in just one generation — and for millions of retirees, the changes aren't good. That summer of 1973, Nicolaou started at the Youngstown Sheet & Tube mill. "I didn't know what I was walking into. I've never been where there was cranes going overhead and flames and heat. It was a scary thing for a while," he said. "Eventually you just grow into it." As for me, I was heading off to Ohio State, hoping to become a writer. That seemed like a hit-or-miss option. Maybe I could get a good job, but maybe not. Certainly, a writer's retirement prospects didn't look as secure as a United Steelworkers' pension. Turns out, we were choosing our careers at a tipping point in economic history. Behind us, there was the post-World War II boom that had sent factory jobs soaring. Ahead was a computer-driven economy — hungry for college grads. That summer, Ohio was solidly in the old era — cranking out steel and autos and tires. It all felt so permanent. But it wasn't. In October 1973, Egypt and Syria would launch a war against Israel. After the United States sided with Israel, Arab nations retaliated with an oil embargo, sending energy prices soaring — and dooming aging, inefficient steel mills. Four years later, on Sept. 19, 1977, the Youngstown Sheet & Tube announced it would shut down — and instantly wipe out 5,000 jobs. "They told us you're done," Nicolaou said. "They didn't give us no two-week notice, you didn't see nothing about it. They just come and told us goodbye." And that's where our life stories really start to diverge. At the time, I had just finished an internship at the Dayton Journal Herald. When the mill-closing news hit, I ran back to Youngstown to write about it for the newspaper. I got a front-page story in Dayton — and a $50 check for it. I would go on to become a business-news journalist. Over the years, I layered on a master's degree and built a good career. Even now, I'm making money from part-time editing and teaching. As for my friend, he went on to work at a van plant — until that closed down — and then on to an auto plant. But the hard, physical work wrecked Nicolaou's knees and triggered other health problems. He had to retire at 56. "I had quite a few disabilities," he said. "I got a staph infection after one of my surgeries. And that's what ended me. It ate my heart. It ate the valve off my heart. And they had to take my knee back out again." Oh. And there was something else. "I had cancer. They said it could a came from the mills from the asbestos," Nicolaou said. "I'm a 14-year survivor of that." My friend's story is not uncommon for blue-collar baby boomers. Arthritis, diabetes, heart troubles, cancer and more — they make it impossible to work. Despite his disabilities, Nicolaou and his wife live a good life on a pretty piece of land in a wooded area. "We got coyotes, we got bears," he said. On his living room walls, he displays deer heads and other reminders of a life filled with family and outdoor pursuits. He feels rooted here, and content with his choices. As for me, I moved away to college, and then kept moving for opportunities. I have lived in Ohio, New York, Georgia, Massachusetts, Washington, D.C., and now back to Georgia. This new economy rewards people like me who get up and go. But it inflicts costs too. I wasn't in Campbell as much as I wanted to help my aging parents. I don't have that passion my friend feels for his land. Still, when we look back, neither of us would have done things differently. "I enjoyed the work as I did it," he said. "It was a good life. You felt good, you come out dirty, but I mean you did a good day's work and you felt good about it." I felt good about being a journalist. But here's what doesn't feel good: seeing those economic trend lines that show the people who worked in factories, cleaned houses, waited tables, planted fields, drove trucks — that their retirement prospects have been eroding. Retirees' financial security actually rose in a fairly straight line from the end of World War II to about 1990, thanks to Social Security, Medicare, pensions, veterans benefits and rising home equity. But that line stopped rising because of factors such as: skyrocketing medical costs; the foreclosure crisis; soaring rents; the evaporation of defined-benefit pension plans; the reduction in union benefits; longer lifespans — and even more need to care for grandchildren because of the opioid crisis. Today, the rate of people 65 and older filing for bankruptcy is triple what it was in 1991, according to the Consumer Bankruptcy Project. Here's the cruel irony: Affluence is accelerating for retirees who had made it into the higher ranks of earners, such as business managers, doctors, accountants, lawyers — and even journalists at big news outlets. Census data show that people in the top one-fifth of households saw their inflation-adjusted incomes shoot up by nearly 80 percent between 1970 and 2016, compared with less than 18 percent for the bottom fifth. So those who enjoyed the best income growth are now the retirees with the most savings in the stock market. Since early 2009, the S&P 500 stock index has more than quadrupled, helping those nest eggs swell. And at a recent National Press Foundation training program on retirement issues, I learned about the rising positive indicators for white-collar retirees who are still earning paychecks to pad savings. Since the 1990s, labor force participation is up 11 percentage points for older workers, the data showed. To a large extent, that's because professionals can sit at desks and pile up paychecks well into their 60s and 70s. 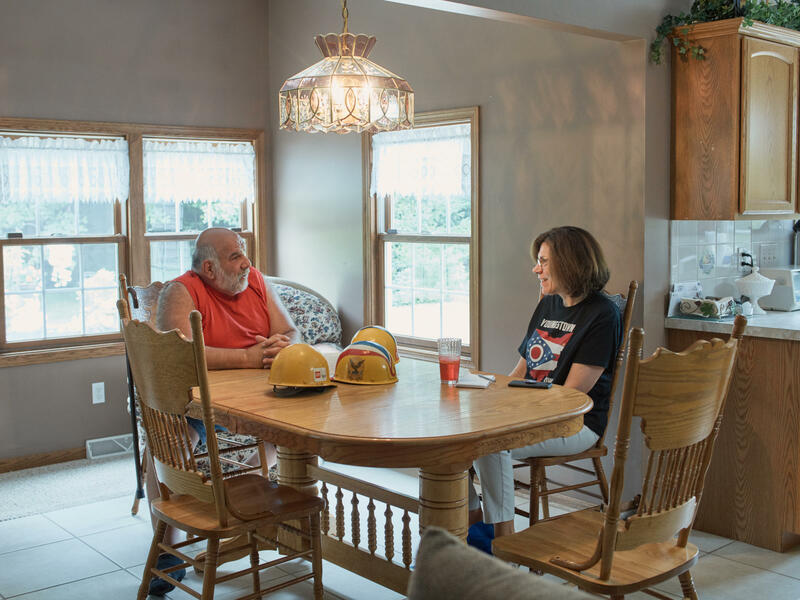 That combination of higher earnings, longer careers and greater savings is allowing a slice of boomers to peel away from the majority of retirees. A recent analysis by HSBC Bank says companies should start creating more goods and services just for those affluent older consumers whose tastes "play a big role in driving global demand for a wave of new products." Who really deserves the hat tip? At the Nicolaou house, it was time for me to say goodbye and head to the reunion. There, at an upscale, suburban restaurant, I would see old classmates. A disproportionate number of them would be the college grads who could afford the $45 dinner ticket. When we chatted, we would shake our heads in disbelief at how many jobs had simply disappeared from our hometown. Truly, we did not see any of this coming in that summer of '73. But before I left Pete's kitchen table, he said something that really touched me. "I read an article you wrote one time and I was awful proud for knowing you," he said. Hey Pete, I'm awfully proud for knowing you. Syrian refugees who are in Lebanon need all the help they can get. But now they're getting it from a group of anti-immigration extremists from Germany. This group's help comes with a catch. For them, it's part of an effort to keep Muslims out of Europe. NPR's Ruth Sherlock reports from Lebanon's Bekaa Valley where she went to meet some refugees. RUTH SHERLOCK, BYLINE: Raja and her family are refugees from Syria. She's afraid to give her last name but invites us into her simple home next to some tents where other refugees live. SHERLOCK: Over coffee, she tells us about the two young German men who arrived at her door some months ago. They told her they were researchers for a charity. RAJA: (Through interpreter) They seemed fine. They just wanted to come in and film the house. We said we have nothing to hide. They filmed everything, even the kitchen. SHERLOCK: The men are actually connected to a far-right group in Germany that calls itself the Identitarian Movement. It wants to stop families like Raja's from coming to Europe. SHERLOCK: She says she wouldn't have let them in if she'd known. Her sister-in-law, Mouna, says she'd like to beat them up. SHERLOCK: The men used the footage of children in Raja's home in a slick new video they posted online to pitch their new plan - give aid in Lebanon to stop refugees coming to Europe. SHERLOCK: They call the effort the Alternative Help Association, or AHA. Sven Engeser is in the Identitarian Movement, a leader of AHA and one of the men who came to Raja's home. He says they told people they were a relief organization focused on local help. Now back in Germany, I reach him by Skype. SVEN ENGESER: We want to save our borders because of the mass immigration to Europe. I think we lost our identity. SHERLOCK: He rejects the label far-right. He says he's a, quote, "patriot," which to him means stopping immigrants, especially Muslims, migrating to Europe. ENGESER: We want to stop Muslim migration to Europe and to stop support them in Germany. It's a problem because it's not easy to integrate them, and Europe is a Christian continent. SHERLOCK: Simone Rafael is from the Amadeu Antonio Stiftung, a Berlin-based group that researches extremist movements. She says though the Identitarians try to cloak it, they are part of Germany's far-right. SIMONE RAFAEL: What they really want is that these ideas are main principles for the whole society in Germany, which they aren't. And so they try to hide their intentions to gain more influence. SHERLOCK: She says they promote racism and are so Islamophobic that they don't even consider Muslim citizens Germans. Rafael says authorities are watching the group, worried that though it may number just a few hundred, it has extremist connections and a growing reach on social media. And German aid organizations have warned their partners in Lebanon to steer clear of AHA. TILL KUSTER: What they do is they misuse the need of refugees in Lebanon for their political goals. SHERLOCK: Till Kuster from the German nonprofit Medico International believes AHA is largely an exercise to win the group more support in Germany. There are lots of other groups, including the United Nations, spending hundreds of millions on Syrians in Lebanon. Right now, AHA admits it's only raised enough funds to pay the rent for 10 refugee families. For some, that's around a hundred dollars a month to live in a tent. Um Mahmoud is one of the recipients who also asks not to use her full name. SHERLOCK: She's a widow and lives with her disabled daughter in a basic tent. In the summer heat, it's stifling inside. It's too hot, isn't it? SHERLOCK: Um Mahmoud says the rent payment isn't enough to keep her in Lebanon. She'd still go to Europe if she could. I ask her which country she wants to go to. SHERLOCK: "Germany," she replies. "Isn't that the best?" Ruth Sherlock, NPR News, the Bekaa Valley, Lebanon. Transcript provided by NPR, Copyright NPR.